That's it. I was happy to watch the Dodger be eliminated at home for the second year in a row. Ok but now it's time to reassess my priorities and the first thing I'll do is sulk about the fact that there are no baseball games to watch. At some point in mid-February I'd sell my soul to watch an impossibly tortuous game where the Dodgers play the Dodgers or something silly like that so someone please remind me not to make this deal! Wait a second. How am I going to go to Yankee Stadium after I've actively rooted for the Red Sox in the World Series? I guess my saving grace is that I'm really a San Francisco Giants fan who happens to live in New York and goes to lots of New York Yankees games as opposed to truly being a Yankees fan. My other out is that this week's cap is from a team that has a deep history with both the Red Sox and the Yankees. 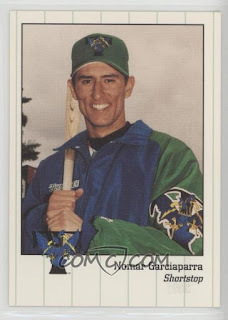 From 1995 through 2002, the Trenton Thunder was Boston's Double-A club in the Eastern League but became affiliated with the Yankees in 2003 and that player development contract is still in place. 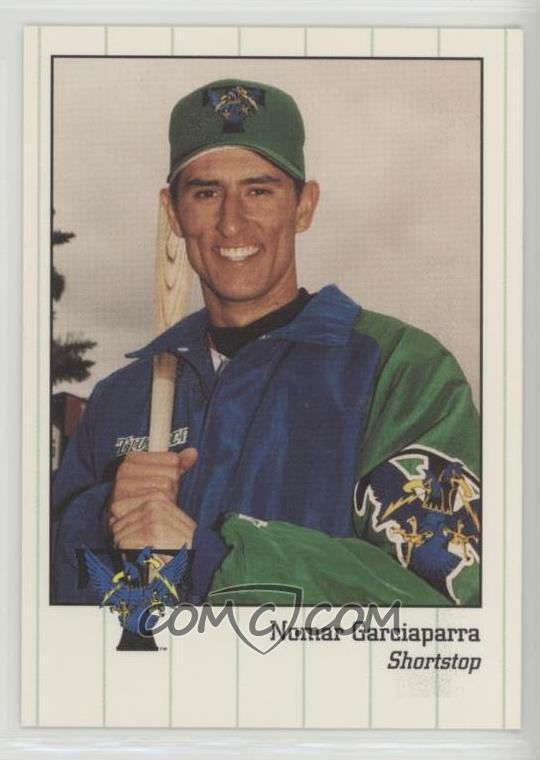 Trenton had this green cap from 1994 through 1998 although it seems like it was worn more often in the earlier years going by what I've seen in baseball cards from that period. These tags are definitely consistent with ones from 1994 through 1996 at the latest. The lack of the New Era tag on the sweatband and embroidery on the side of the cap confirms this. Behold the green and gold! I never get tired of saying that do I? 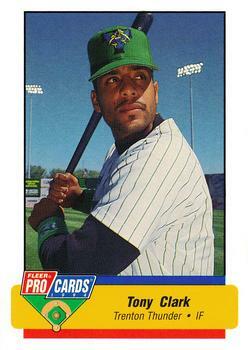 Tony Clark was on the inaugural Trenton Thunder team in 1994 when the club was affiliated with the Detroit Tigers which was their sole season in Jersey's Capital City. Thanks for checking out this week's confession post and I'm glad to report that I'm looking forward to hopefully not having to cheer for the Red Sox for at least a year! Also, this cap is a size too small for me (7 1/4) so it's going on the Trading Block! Please don't hesitate to reach out if you want this or any cap from that list and you are willing to part with any of the hats on my Wish List.